Health Costs > How Much Does CoolSculpting Cost? CoolSculpting, at the time of this publishing, is the only FDA-cleared fat-freezing procedure that uses a controlled cooling method to eliminate any stubborn fats that seem to resist all the efforts of exercising and dieting. The company notes the results are proven, long lasting and noticeable, allow you to look great from all angles, and best of all, no surgery, anesthesia and invasive techniques are necessary. The creation by two doctors, Dieter Manstein and R. Rox Anderson, years ago, noticed children’s cheeks would form dimples after eating a popsicle. Soon realizing this concept could be turned into a way to eliminate small pockets of fat, all while leaving the surrounding tissues undamaged, today, more than six million people worldwide have taken advantage of the procedure. According to Carmen Kavali, MD, an Atlanta plastic surgeon via Realself.com, she noted the pricing for CoolSculpting by Zeltiq is protected by the manufacturer, meaning the pricing will be nearly the same everywhere, but some practices may offer special events while other offices may hold a special promotion. With this in mind, other factors to keep in mind include the doctor’s office you choose, the size of the area that needs to be treated, the number of sessions required and your geographical region. Based upon all of these factors, the costs, from what we researched via third parties online, can range anywhere from $600 per small area to as much as $1,200 per larger area, with each side of your body requiring one session each. The cost of a belly, for instance, could be as little as $1,200, whereas both underarms could be double this since two sessions would be necessary. 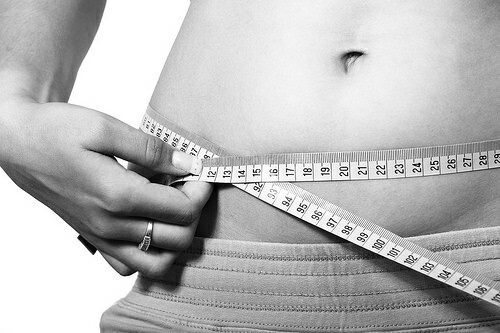 Often, depending on how “pinchable” your fat is will determine how many applicators/sessions you will need. As mentioned, many offices offer bulk packaged discounts that could potentially drive these costs down if you were to commit to multiple sessions in the beginning, and with each individual being so different, your results will vary. The average costs, once complete, seemed to be in the $1,200 to $2,600 range, however. Due to being a voluntary cosmetic procedure, health insurance will not cover the policy. During your first visit, your physician will first want to meet with you one-on-one, where they will take the time to discuss the results you want as well as what the procedure can do for your specific situation. Together, at the time of this consultation, your doctor will then focus on the specific areas you want to eliminate the fat and create a customized plan designed just for your body. As everyone’s body is different, your CoolSculpting clinician will work on the best treatment plans for your needs. For some, this could mean one simple office visit, but for others, it could mean multiple visits, but this is often the case for those who want the procedure to target more than one part of the body. On the day of the treatment, the CoolSculpting procedure, as the name notes, will be chilly to the touch. This controlled cooling, delivered via an applicator, will freeze the targeted fat with gel pads applied, and at the time of the application, most patients will feel an intense cold feeling; however, this feeling will subside after five to 10 minutes as the area slowly numb. At this time, while the device is positioned over the affected area, the secured applicator will draw the tissue into the applicator cup. During the procedure, patients can read, check email or just sit back and take a nap as the clinician uses the tool. The downtime, being very minimal since no surgery is required, means you can return to normal activities immediately, with some returning to work that day, according to the company. Not everyone is considered to be a suitable candidate as it is not ideal for those considered too obese or for those looking at drastic weight-loss options such as a gastric bypass. Instead, those with slight bulges, often around the abdomen, thighs or flanks, are considered to be the best candidates for the CoolSculpting procedure. The best candidates, aside from those looking for results, should be in great health, within 20 to 30 pounds of their target body weight, have healthy skin and discreet fat that can be pulled from the body. Unfortunately, due to the size, larger areas, such as the shoulders cannot be treated. Be sure to talk with your doctor for more information as to which areas are suitable for your situation. Once CoolSculpting kills off the fat cells, then they do not come back, making the process “permanent.” However, if you gain your weight back after the treatment, then all of the treated areas could once again, look like your before pictures in the future. According to 77PlasticSurgery.com, the pain levels, as Dr. Larry Fan states, will generally depend on the device your doctor chooses. The older devices are deemed to be comfortable, with about 15 percent of patients who had the procedure call it painful, while the newer devices, such as the CoolAdvantage device, was very comfortable for most, with less than 10 percent calling the process painful. Some patients will feel fine the entire time, while others may experience some pain after the procedure for a few weeks after. Generally, for most, ibuprofen every eight hours can help subside the pain, but in extreme cases, a prescription pain medication or compression garment may be needed. To find a clinician who specializes with this procedure, the official website offers a “find a provider” tool. As with any procedure, surgical or not, side effects do persist. During the CoolSculpting procedure, patients may feel a tingling, aching, cramping and/or stinging sensation at the site of the application, but for most, these feelings will subside as the area starts to numb. After the procedure completes, common side effects can include itching, aching, skin sensitivity, cramping, tenderness, tingling, stinging, firmness, blanching, swelling and/or temporary redness at the affected area, according to the company’s FAQs. The company does note they usually resolve itself within a few days, but in the case of any concerns, it’s important to seek immediate medical attention. CoolSculpting is not designed to help treat cellulite as it has no effects on the skin laxity. Since the treatment targets the specific fat cells, the skin and surrounding tissue, often the culprit of cellulite will remain intact; however, it doesn’t mean it cannot help as many doctors will often combine CoolSculpting with other treatments to help improve the appearance of the cellulite. Be sure to check out Groupon for reputable professionals as many cities have multiple listings with heavy discounts available.